Dr George Eleftherakis is a Reader (Associate Professor) in Computer Science at the University of Sheffield. He received the Senate Award for Sustained Excellence in Learning and Teaching from the University of Sheffield in May 2014. He is a Senior member of the Association for Computing Machinery (ACM) since 2012 and the Chair of ACM’s Council of European Chapter Leaders since 2013. He is a member of the administration board of the Greek Computer Society since 2002. 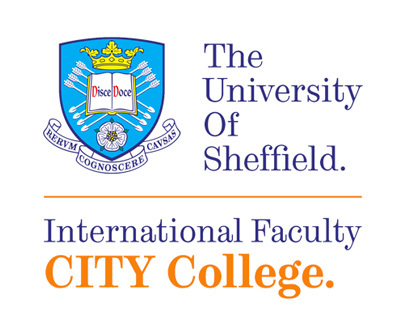 Since 2009 he is a member of the Faculty’s Research Committee, and the Research Director of the Computer Science department of the International Faculty of the University of Sheffield. He is researching at the interface of computer science, biology, and engineering, with a sustained publication record, with more than 85 refereed articles in print, having publications in prestigious highly regarded international journals (e.g. ‘Information Sciences’, ‘Natural Computing’, ‘Biosystems’, ‘Information and Software Technology’) and chapters in prestigious handbooks like ‘The Oxford Handbook of Membrane Computing’. 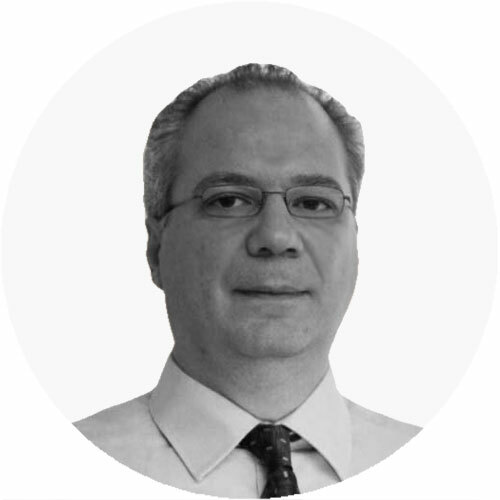 Since 2007 he leads the “Information and Communication Technologies” research track of the South-East European Research Centre (SEERC – http://www.seerc.org) which is an overseas research centre of the University of Sheffield, established in 2003 in Thessaloniki, Greece. He also leads a research group that studies biological systems that exhibit emergence, and the application of biologically-inspired algorithms to engineering problems. Late focus of the group is in wireless sensor networks, especially monitoring applications in the health care domain and smart cities. He was a guest editor in ‘Formal Aspects of Computing’ journal, and he is a member of the editorial board of ‘Innovations in Systems and Software Engineering, a NASA Journal’, both published by Springer and the ‘Computer Science and Information Systems’ journal and editor of more than 10 proceedings of International conferences he was chairing their programme committees (e.g. 10th IEEE International Conference on Software Engineering and Formal Methods in 2012). He gave numerous invited lectures including plenary talks in international conferences. Paunovski, G. Eleftherakis, K.Dimopoulos, and A.J. Cowling. Kefalas, I. Stamatopoulou, M. Gheorghe, and G. Eleftherakis. In G. Paun, editor, The Oxford Handbook of Membrane Computing, volume 23.4, pages 612-620. Oxford University Press, 2009. Eleftherakis, K. Rousis, M. Cislaghi, Roberto Mazzilli, and Sara Ferri. Journal of Information Assurance and Security (JIAS), 4(6):519-529, 2009. Special Issue on Information Assurance and Data Security. Paunovski, G. Eleftherakis, and A.J. Cowling. Computing and Informatics, 28(3):369-391, 2009. Kefalas, I. Stamatopoulou, I. Sakellariou, and G. Eleftherakis.